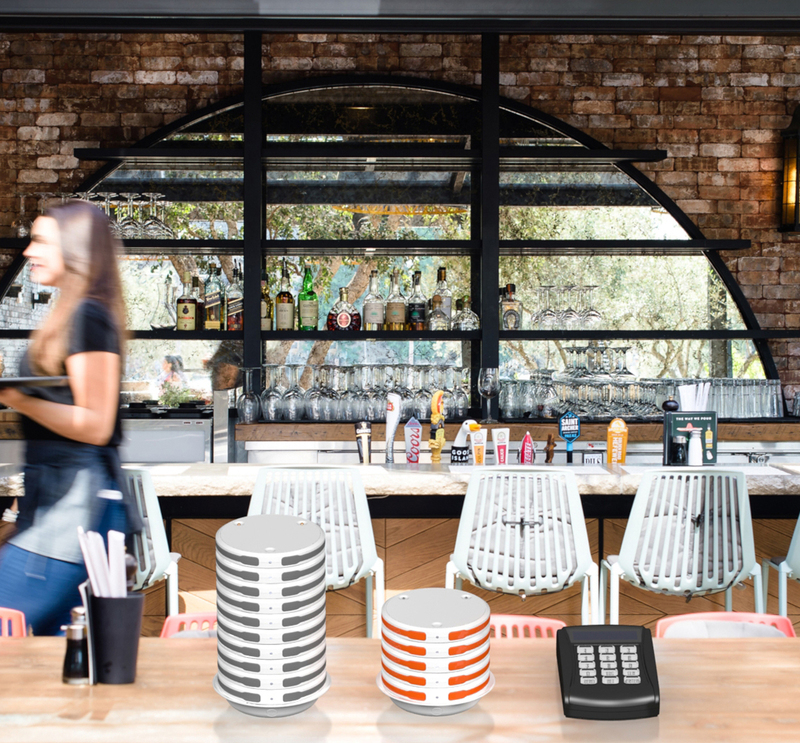 The new Multi-Function Super Tower of Power Charging system is a restaurant table pager with the phone charging all-in-one disc. 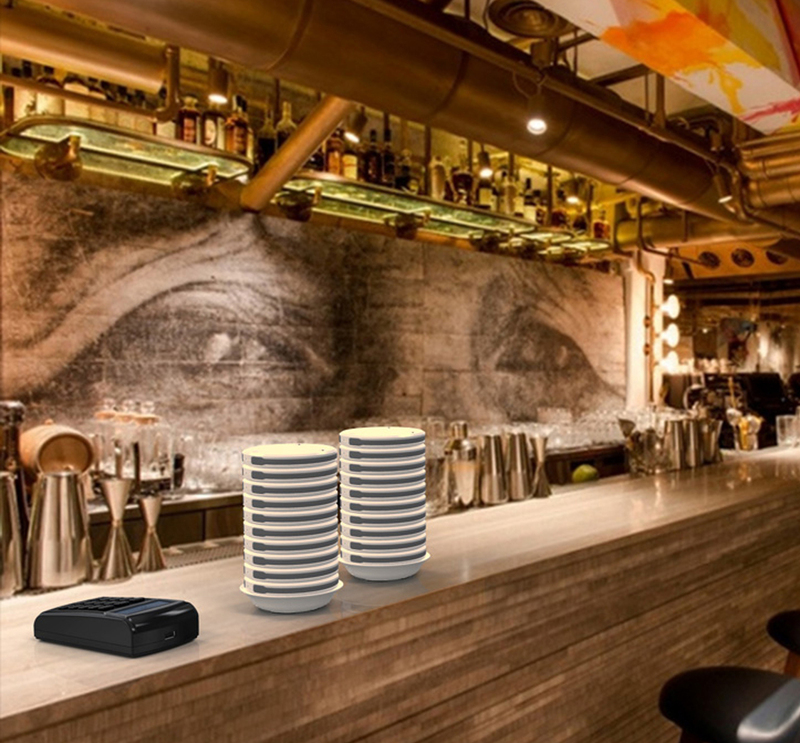 Your customers can now charge their phones while waiting to be paged for their tables. Each charging disc is also a table pager system. 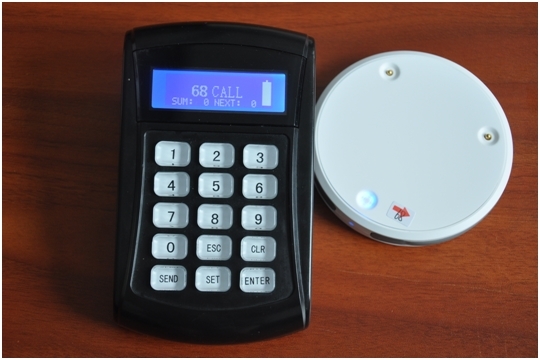 The RF keypad, which assigns a table to a particular disc, can control up to 499 discs. There is also a proximity alarm which will trigger if a pager is taken out of range (adjustable up to 500m). Not only will an alarm go off the disc will stop charging the user’s phone as well. 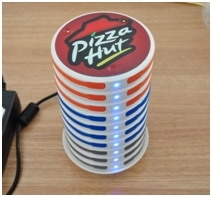 Up to 10 pager/charging discs can be stacked and charged on the dock. 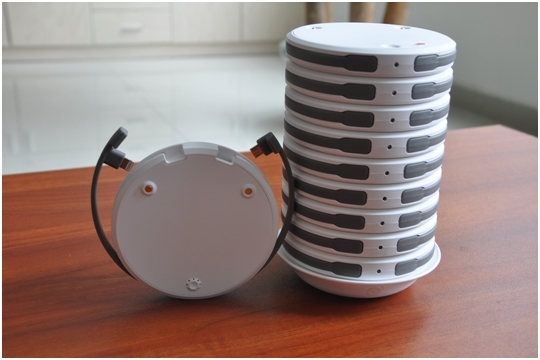 Each charging disc is 3200mAh and comes with two charging cables built in.